To me, the mid-70’s was when music, especially hard rock, split in directions that were new and exciting. Metal was on the cusp of the breakout of NWOBHM, most the piece were there and bands like RAINBOW, JUDAS PRIEST and this band QUARTZ trying to put them together in a new way. It was when punk introduced mind numbing speed (Steve Harris denies it to this day, but we know…) that NWOBHM truly broke out. The bands that accepted it rode the wave, and the bands that didn't kind of stayed in the background until recently with the re-issue movement. When I first listened to this CD, I was amazed! 1977? Today it seems quaint, but when you really sit down and listen, almost every song can be redone with equipment and sound super heavy. The thing is, this is a document, a sign post if you will at the crossroads of metal and the music within maps out the directions it went. From Mick Taylors smooth voice covering many octaves to the harmonious interaction of guitarists Mick Hopkins and Geoff Nicholls (who also lays down some pretty sweet keyboard parts) songs like "Around and Around" have a timeless quality to them. The rHythm section of Mel Cope on drums and bassist Dek Arnold provide a solid foundation that allows time and key changes that keep your interest, "Devils Brew" is a great example of this, with Mel doing some nice fills on his toms when the tempo slows and Dek walking his bass perfectly through the solo. Some songs, such as "Sugar Rain" and "Little Old Lady" are slow, almost ballad like but there are complexities in them that elevate them to a higher standard and show that actual thought went onto them, rather than just following a formula that's supposed to generate sales. This is a product of the 70's, and with that in mind I have to say it has a quality unique to that era. Warm and embracing, the mix is top notch, with an end product destined for vinyl. The mix is spot on with nothing really overbearing. I loved this album and what it represents in the halls of metal. I'm just sad it didn't get the attention it really deserves at the time. 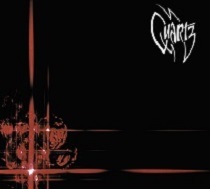 If you're a fan of early hard rock/proto-metal, you need to add Quartz to your library.